Transit ticketing is key and core business for any operator or transit authority to be able to collect fare for the travels. We offer components and turnkey solutions for transport ticketing. Below is brief description of Ridango ticketing solution and devices. Please see also "reporting and accounting" and other solutions to understand the full scope of services on ticketing. Ridango offers account based and online ticketing solution. The solution consists of Real-Time Vehicle Systems and Central Data Server services. The product is targeted to local transportation authorities and commercial transport operators. Our ticketing solution is modular and is meant for any size of agency or operator (light version, basic, pro version etc). Ridango account based ticketing supports various fare types and media. 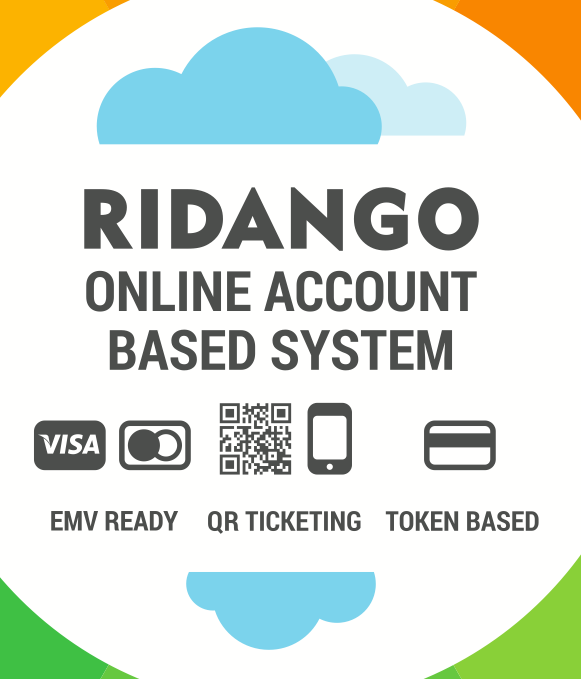 Ridango supports contactless EMV bankcard transactions, mobile ticketing, QR ticketing, token based closed-loop transit card ticketing with tickets and best fare calculations. Main Fare Types Media Tickets. Look on the main transportation segments on ticketing. Ticket Validator that is contactless EMV ready (extendable up to 10 units per vehicle); ISO 14443 A/B. EMVCo contactless approved PCD-s - click here to see approved devices. The supporting devices and connection devices are everything that helps to connect the devices into one coherent solution and make strong communication channels to our back-end engines and services. All on-board equipment is communicating with Ridango central-data server services and solutions. Click here to read about fare inspection device. Click here to read more about transport QR ticketing and mobile ticketing solutions.